After receiving 3rd carrier on 800MHz band and unified licenses MTS India is in full swing to upgrade their existing high speed data network. In Kolkata MTS is ready to roll out its RevB services, MBlaze Ultra. I found these Ultra dongles available on their retail showrooms. It can be noted that MTS India is the world’s first operator to roll out Evdo rev b phase 2 network, which can deliver upto 9.8Mbps downlink. Tata Photon Max uses rev b phase 1 technology to support upto 6.2Mbps downlink. Currently MTS has two devices – Ultra dongle (ZTE AC2792) and a Ultra MiFi device, priced Rs 1299 and 2199 for prepaid and postpaid respectively. For Bundled offer, new prepaid customers need to pay Rs. 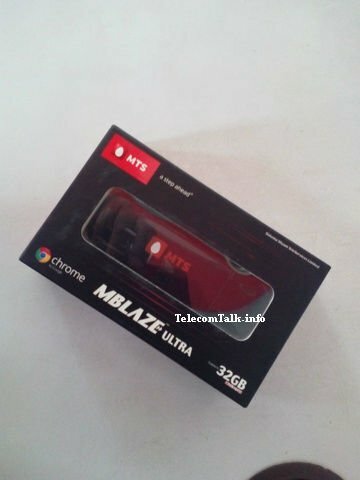 1399 to get an MBlaze Ultra dongle along with 10 GB data usage with 30 day validity. While existing postpaid MBlaze customers can get an MBlaze Ultra dongle by paying just Rs. 750 with complete cash back as an up-grade offer. Hopefully there are similar developments are going on in all other cities where MTS is present. Update; MTS India has presented this service in the Market as 3GPLUS network (Evdo Rev B Phase II), the network coverage of 3GPLUS network will be available across all its 9 circles of operations i.e. Delhi, Rajasthan, Gujarat, Kerala, Karnataka, Tamil Nadu, Kolkata, Uttar Pradesh (West) and West Bengal. With most 3G BTS powered by HSPA 7.2Mbps by private 3G/GSM operators, MTS will certainly have the edge over them with Ultra services. I had a Mblaze 2G dongle. I was promised 3.1mbps but I got 300kbps only sometimes. All the other times I got 200& below. Here it says in 3G Mblaze will deliver 9.8 mbps but I dont know that they will keep up their promise. rs 1498 for 20gb means rs75/gb… but rs800 for 5gb means rs160/gb ! if they can offer rs75/gb, why not for small users? one customer cosuming 20gb and 20 customers consuming 1gb each, whats the difference to the seller, (MTS)? if they offer rs75 for 1gb for 1month, a boost is usage will also be seen… they can also sell 20 dongles to lock 20 customers. what kind of sells department are they depending upon? Very good commend, MTS should reduce the data price to get popularity in India.